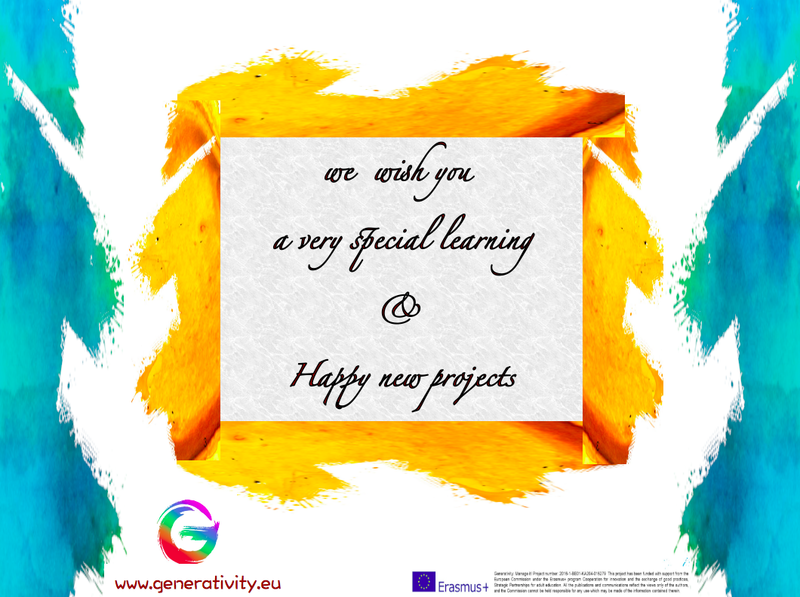 All the staff and organizations of the Generativity project offer you the possibility to learn and develop your skills and competences in developing and implementing your project ideas in order to maximize the impact and help you to design effective and sustainable social and educational projects. The six training modules on Project Cycle Management that are available online here are our way to wish you a very special learning and happy new projects. From January onward the downloadable version of each single module will be available on the project website here.